You need to know what goes into packing a garage before you relocate. 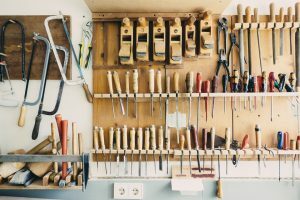 Most of the people reading this article will have a cluttered garage. The reason for that is twofold but simple. The first is that we live in consumer times. We buy anything and everything that seems worth the price. And at the end of the day, we are left with a bunch of things that we actually do not need. Now, that would be semi-ok if we were to store those items in our home. If we did that we would have to look at them every day which would force us to declutter. But, and this is the second reason, garages are not such places. We usually only spend up to 5 minutes in our garage which means that the items we have cluttered up inside don’t bother us. That is until we have to relocate. Then we realize how important it is to clear out your garage. It is impossible to pack a cluttered garage. Sorting all the mess that has piled up in your garage is impossible without some work. First, you need to get everything out of your garage. 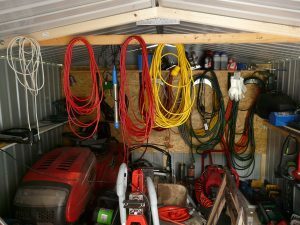 By doing so you will have a clear idea on how many things you have in your garage and what they actually are. Then you need to sort them. For packing a garage for relocation, you should only have two groups. The first one being the items you plan on discarding, and the second one being the items you plan to keep. This is tremendously important to do before moving as it will give you a clear idea on what you need to pack. When it comes to the items that you want o discard, there are a couple of things you should consider. Donating is a great way to get rid of unwanted items. Not only will you help someone but you may even get tax benefits for doing so. Just keep in mind that not all items can be donated. You need to talk with your local agencies that accept donations about which items you should donate. As you can probably guess, swimwear and summer clothes are rarely needed for homeless shelters. Once you figure out which items you can donate, make sure to follow the correct procedure, especially if you want to receive tax benefits. Another way of getting rid of items is by selling them. This is a pretty straightforward way to rid yourself on unwanted items, but you need to approach it with due care none the less. Especially if you want to make the most money out of your sales. 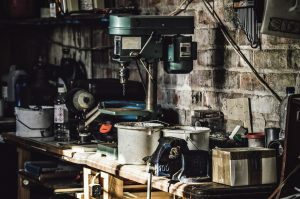 You can either try to sell your items at a pawn shop, which is easier but will probably yield you little money, or you can organize a garage sale. Try to fix and clean your items before you sell them in order to maximize their worth. But, keep in mind, you are trying to get rid of your items, not make a fortune. Just be sure not to sell antique items easily as they may have a certain value that you are not aware of. A smart thing to do is to have them evaluated by a professional. Once you have figured out which items you are actually going to transport, its time to pack them. Keep in mind that packing is one of the most important parts of a successful move. If it is done right affordable cross country movers NYC will not have to think or worry about your boxes. Therefore, they will be able to put all of their energy into moving you. But, if you have packed your items improperly, there is a good chance they will cause a mishap or an accident. A box might tear open or your movers may mishandle your items due to improper labeling. It is hard to overestimate how important packing is. Therefore, you should really learn how to do to it properly. You can only relocate your garage if you properly pack it. Packing a garage is impossible without packing supplies. So, once you have figured out which items you would like to relocate, you need to get proper packing supplies for them. Start off by getting enough moving boxes. You can visit your local stores and warehouses and ask them to save you some. Or, if you don’t want to risk the quality of your boxes, and avoid packing mistakes, you can talk with your local movers and buy some. Whatever the case, make sure that you have enough and that they are of good quality. You will also need to get enough ducktape, label markers, and wrapping materials. Once you have enough packing supplies ready it is time to start packing a garage. Start off by cleaning the items and carefully wrapping them. You can use professional wrapping materials, or you can use your everyday items. Clothing items can be great for wrapping and padding as they can provide enough support. Then you need to use boxes that are large enough to fit both the items and the wrapping. You don’t want your boxes to be too big as unwanted movement inside the box can cause damage. In the end, make sure to label your boxes. If you find yourself unable to do something properly it is much better to call a professional to help you, then to risk moving with improperly packed items.